I saw lovely Lauren from Lauren and the Books start this series on her YouTube channel earlier in the year – she chats through 100 bookish conversation starters from the Lit Chat card pack. I think this is a brilliant idea – so I’m following along! My happiest place on earth is curled up next to my bookshelves reading, or wandering around bookshops. So, I think my ideal personal library would be based at home (I would need a home big enough for this…), floor to ceiling bookshelves, organised by colour, thick fluffy carpet, warm lighting, green plants, soft cushions and blankets, a big armchair with enough room to curl up in it, and low level fantasy/medieval music playing in the background (seriously look it up on Spotify). 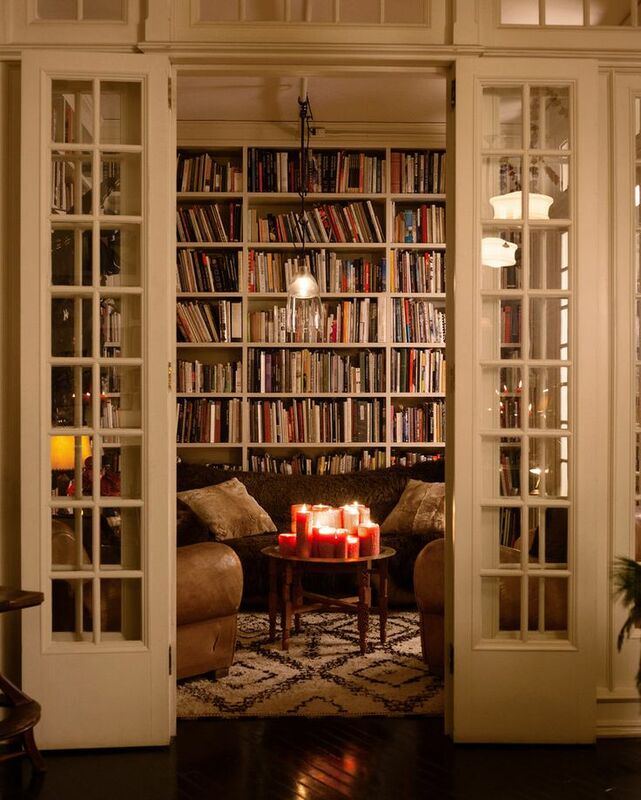 I would love to just close the door and get lost for hours in different fantasy worlds. Who would run my library? It would have to be someone I would want to spend a lot of time with and would love to discuss books with and drink tea with… should you say it or should I? Hermione Granger of course. However, if she is too busy doing magical stuff, I would probably pick another character I would want to spend time with – Feyre. Maybe she could paint whilst I’m reading? There are lots of bookish characters I would want running my library, but who would you pick? I’ve always wanted floor to ceiling book cases but I find ebooks much cheaper… so I’ve pretty much given up on that dream. Especially because I don’t reread books very often so it doesn’t make sense to keep shelves and shelves of them. AHHH I LOVE THIS IDEA!! !